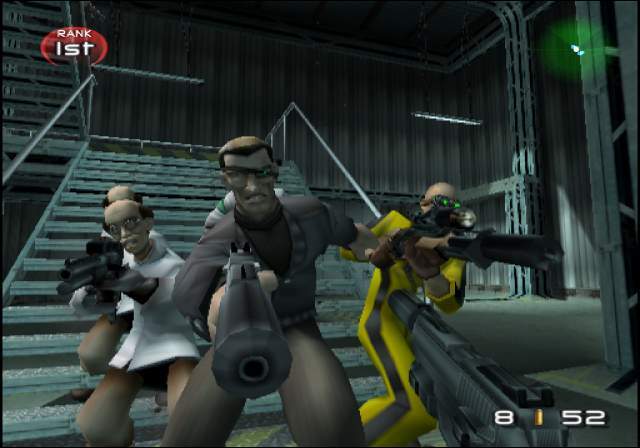 Whenever you begin to talk about the TimeSplitters franchise it’s impossible to avoid discussing its developer, Free Radical Design, which featured many of the people who worked on the N64 mega-hit, “Goldeneye”. Since 2009 of course, they’ve been known as Crytek UK and have gone on to bolster the wonderful “Crysis” series (with work on both Crysis 2 and 3). But they really seemed to have made their mark with Time Splitters 2. 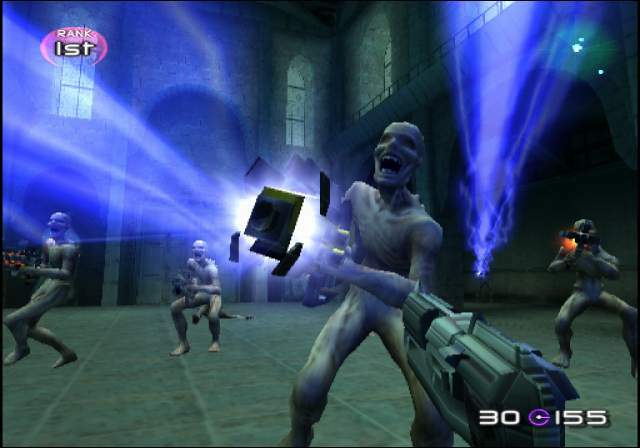 If you’re a keen TimeSplitters fan you’ll probably be interesting in this article: Why we want to see a next-gen PS4 follow up of the TimeSplitters series, which looks at why many want to the possibilities of an updated edition for next-gen gaming. In short, this game embodies the sort of classic FPS console action which many feel defined the gaming era. Not only does the gameplay feel extremely satisfying, but the entire scope of events encapsulates a very wide amount of additional modes and challenges. As far as the plot is concerned, we find our 2 favorite space marines, Cortez and Hart, battling the nefarious TimeSplitters once again. This of course necessitates the need for them to travel across a wide range of time periods in order to prevent them from collecting the precious time crystals which will allow them to seriously mess up the space-time continuum. 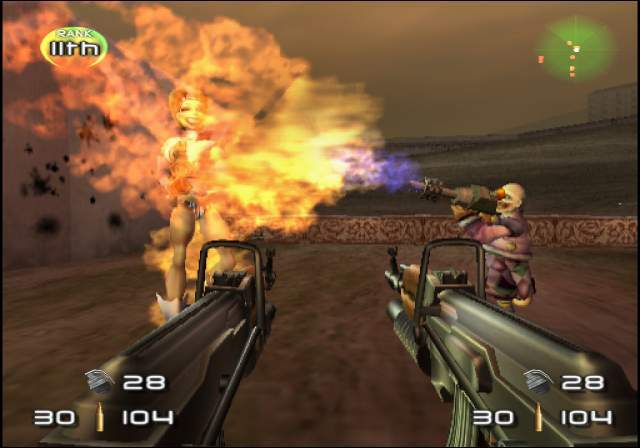 Of course the real draw of TimeSplitters 2 isn’t the story – it’s the gameplay, which is still rather entertaining as well as challenging. Armed with a wide array of weapons which are endemic to the various periods in which they are typically found, our heroes fight their way through such disparate locales as 1930’s Chicago, a space station in 2401, and much, much more. Although each of these 10 levels features its own unique charms and three levels of difficulty, the real attractions are the game’s arcade and challenge modes. The first thing you’ll notice about these extra modes of play is the difficulty and variety of scenarios / characters. Needless to say, they really went a bit “off the rails” (in a good way) here, introducing some incredibly oddball elements amidst one devastatingly hard encounter after another. Each successive challenge poses a series of objectives which, when completed, end the level. You’ll literally spend hours wading through these, with some likely finding many of the latter ones to be next to impossible short of sheer luck. It’s these sorts of defiant confrontations (where you seem to be facing nearly impossible odds) where the real fun in the game lies. Finding yourself swarmed by relentlessly accurate A.I. bots, each one gunning for your head, it’s basically sink or swim. Additionally, this PS2 title implemented the use of system link capabilities, allowing you to hook together multiple consoles and tv’s to add up to no less than 16 players. Moreover, since there was plenty of extra options for customization available, including a MapMaker, you were guaranteed to never run out of options.